Colors are everywhere. Let’s add some colors to our lives, let’s splash, paint and play with textures. 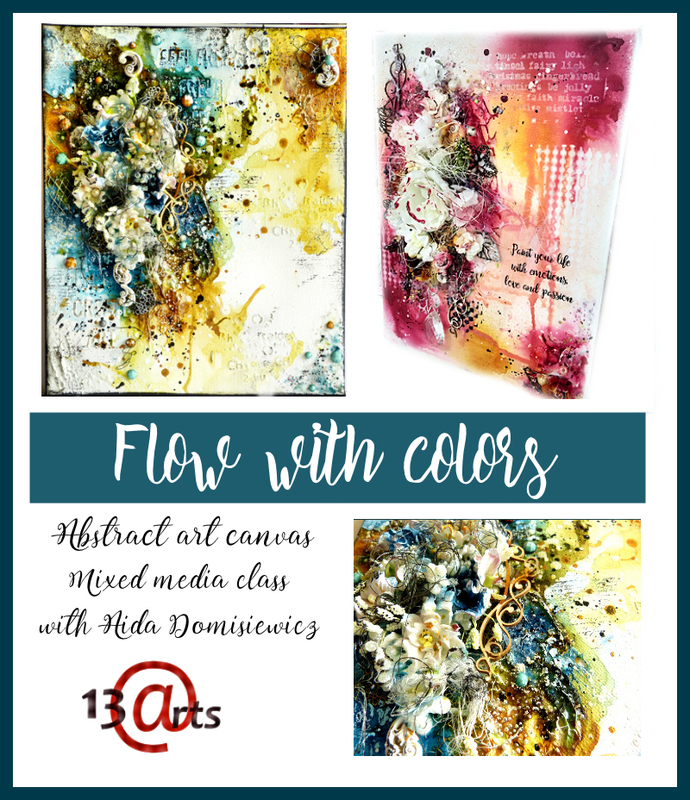 Creating this multi layered, colorful and reach abstract art canvas will allow you to have some fun with art mediums, sprays, stencils and different types of microbeads and just play with colors. You can show your inner beauty on this piece of art. During the class you will create mixed media canvas. We will built beautiful textures and play with colors. You will learn fun techniques, and I will introduce you to many mediums from my line and show how you can use them. Let’s color our world – color is life. Handmade gifts are the best and now you can create a beautiful set for any occasion. Notebook is always useful and created with beautiful papers and some mediums is just a ideal gift. Matching card is absolutely great to make this set even more perfect. Create this beautiful set and give it to someone really special. 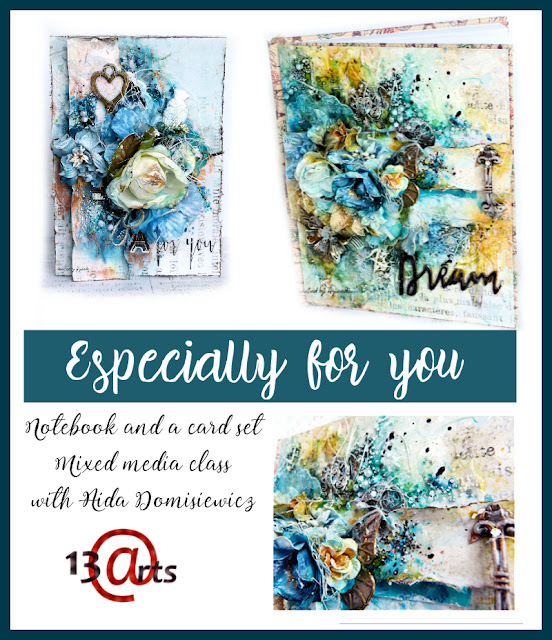 During the class you will learn how to create a multilayered notebook cover and a matching card using papers, flowers, adornments and variety of mediums. I will introduce you to many mediums from my line and my favorite techniques. Layout is not only a photo on a piece of paper. It’s a frozen moment in our life and we can make it last forever with colors, layers, textures and beautiful details. Let’s use some great microbeads and other fillers and mediums to built a one of a kind page. This layout will be soft and reach at the same time. Let’s capture this dreamy moment and make it last forever. 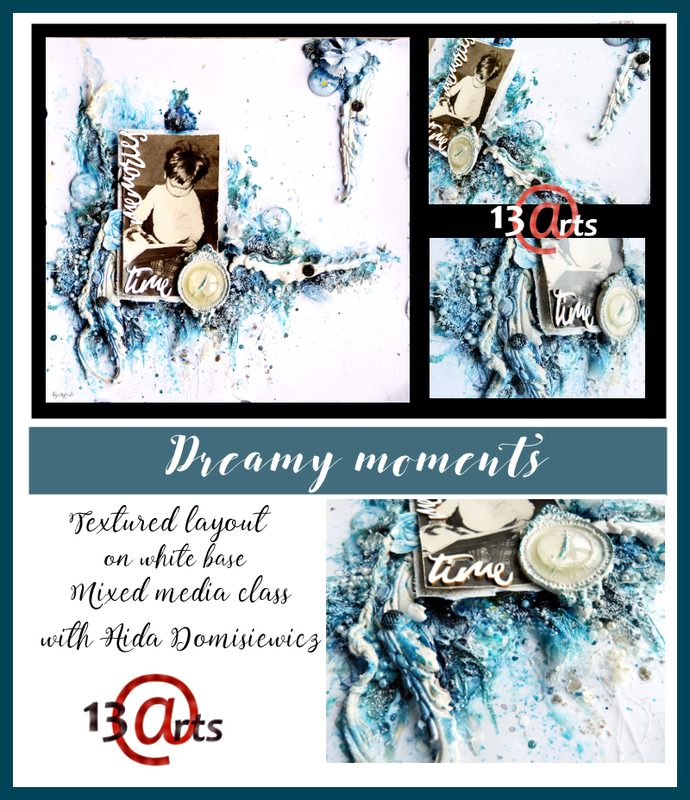 During the class you will learn how to create a multilayered, mixed media layout, with a lot of details and textures. I will introduce you to many mediums from my line and my favorite techniques. Can we keep the precious moments from our lives and express our feelings for someone we love at the same time? Yes, by making this textured and colorful mixed media layout on a big wooden heart. And that is not all, because by creating this piece of art we will mix scrapbooking and mixed media techniques and have fun with colors, layers, textures and beautiful details. 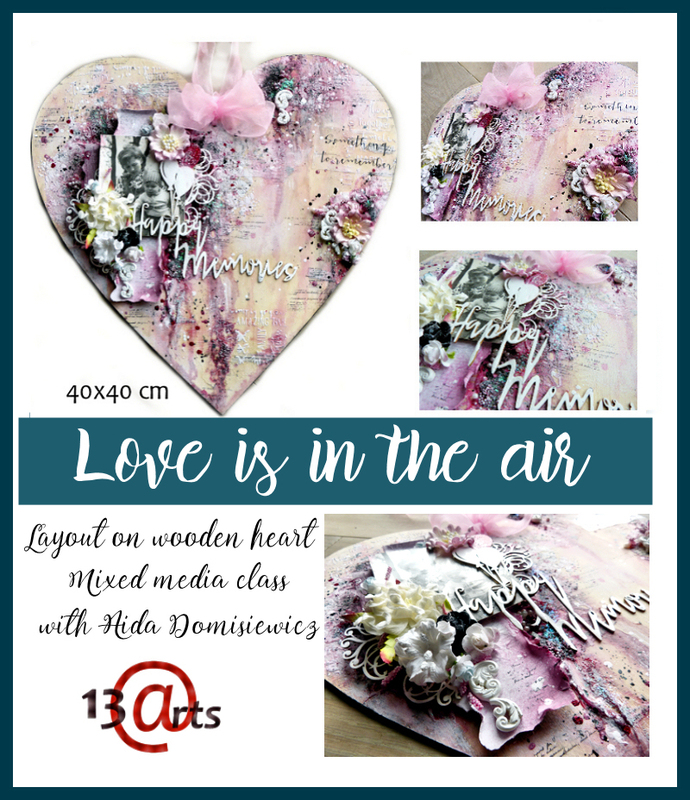 During the class you will learn how to create a multilayered, rich in texture mixed media layout on a wooden heart. I will introduce you to many mediums from my line and my favorite techniques. Do you feel like creating something just for yourself sometimes? Do you want to put your emotions on paper, just let it all go? If you do, your own Art journal is the perfect solution. You can put your thoughts and your dreams there, share your secrets, or just play and experiment with new techniques. 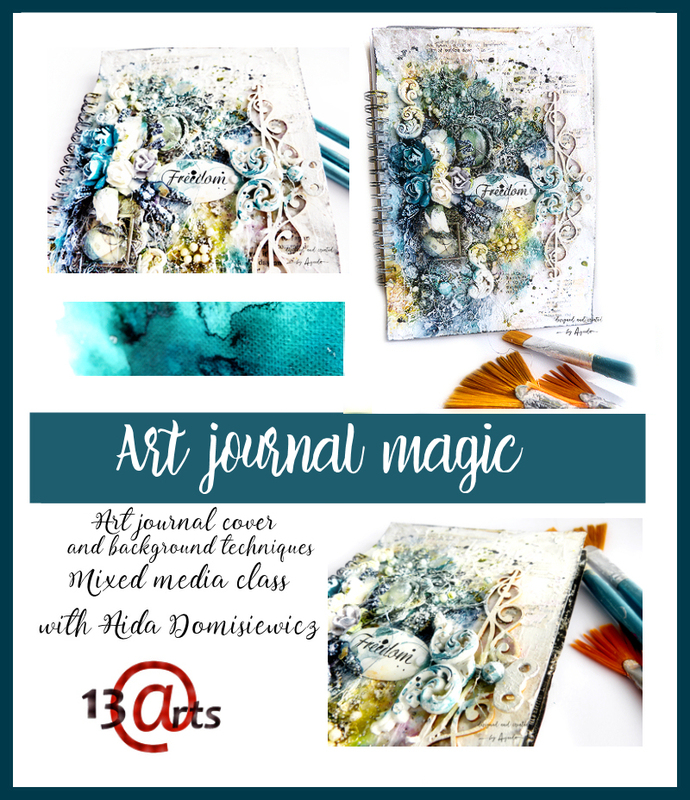 Let’s make our personal journal with textured, layered and full of details cover and let’s feel this free spirit of creating with different mediums. During the class you will create mixed media art journal cover using the blank base I will present you few watercolor backgrounds techniques. There will be a lot of texture, lots of fun techniques, and full of spraying, coloring and playing with other art mediums. I will introduce you to many mediums from my line and my favorite techniques. We will release and let our free spirit out. I am a Polish scrapbooker, mixed media artist, designer, teacher and owner of 13 arts company. My biggest passion is creating with mediums, I love to experiment and search for original effects. I make mostly layouts, canvases, tags and cards, but I also love to create on bigger surfaces and alter home decorations. My works are recognizable as reach in textures (especially microbeads and other fillers), mediums, and many layers and details. I just love to create, and I am lucky that my passion became also my full time job. 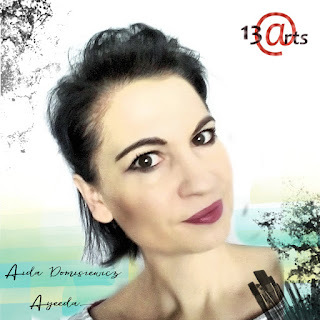 My company 13 arts was established nearly 4 years ago as the first company in the scrapbooking industry that has offered the whole range of products for scrapbookers with mixed media style, under one brand. We design original and innovative products and the company has grown over the years and became well known all over the world. I have been a designer and guest designer in many teams and cooperate with stores, kit clubs and challenge sites all over the world. I have won European Scrap Battle in 2013 in Layout category. 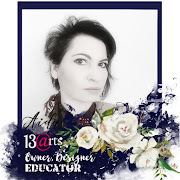 Currently I mostly teach, design collections and mediums, make videos and live shows with online classes. I work exclusively for 13 arts and American’s Flying Unicorn store now, and I guest design from time to time. My works have been featured on different sites, I have been published in “Histoires de pages” and “Somerset memories” magazines. Hi, is there a possibility to come on one of this classes without contacting the main people on this class here in Sweden. Please contact me on ann-Marie@jozebelle.se or on my personal site "here" on flying unicorn?